Nobody picked Patrick Reed to wear The Green Jacket at the conclusion of play Sunday evening. Some of you casual fans didn’t even know who Patrick Reed was. But those of you who follow golf certainly knew the man they call “Captain America”, and shouldn’t be surprised at this win. 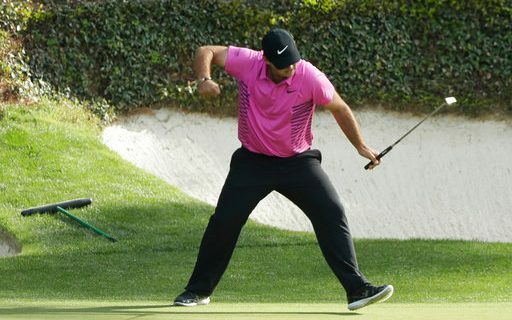 Patrick Reed came into the tournament ranked 23rd in the world, a five time winner on the PGA Tour, and off of a recent 2nd place finish at the Valspar Championship. He bogeyed the 18th hole to miss a playoff at that event, but everybody talked about Tiger Woods coming up short, not Reed. He changed that over the weekend with a great round on Saturday, a day in which he made 2 eagles on the back nine (13,15) to put him into the final group on Sunday. The 22 birdies through the week also had something to do with it too. Reed is know for his intensity, gritting his teeth and scowling on the course. He gets fired up, a product of following Tiger Woods as a kid, his idol. He even borrows Tiger’s signature red shirt on Sunday, although Nike made him wear pink for the final round of the Masters. A look that may become permanent. Fans loved him at the Ryder Cup in 2016, as he went head to head to Rory McIlroy and lead the USA to victory. For some, that felt like ages ago. If you were following social media during the final round, it seemed like everyone was rooting against Reed. Many wanted to see Rory McIlroy complete the Grand Slam, Jordan Spieth finish off a historic comeback, or Rickie Fowler beat Reed in a playoff. For some, it felt like rooting for Red Skull instead of Steve Rogers. Reed isn’t as tall and athletic as the other players trying to win. He doesn’t appear in as many commercials as Spieth and Fowler, and he doesn’t smile on the course. If he played another sport, he would be labeled a “gamer”. The guy that’s not the best athlete, but brings it every night and will do whatever he can to win. And he did. This was one of the most anticipated Masters in recent memory with all of the young great players in top form, the resurgence of Phil Mickelson, and return of Tiger Woods. My guess is Patrick Reed fed off of being on the outskirts of players people were picking to win. I picked Phil Mickelson, who barely made the cut. Tiger Woods was the betting favorite in Vegas. Shame on all of us. 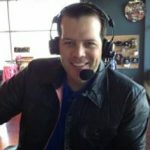 Reed has been one of the better players in the world for sometime now, and many of us believed it would only be a matter of time before he won a Major. But there were others ahead of him, notably Rickie Fowler. He jumped ahead in line and cemented his place in history. I don’t think it will be his last Major either. He’s too good and too determined to not add more. And for those of you who rooted against him, you’ll change your tune in the fall when USA Captain Jim Furyk sends Reed out in the biggest matches to retain the Ryder Cup.